There’s a rapidly expanding—and outstanding—contender in the ever-escalating arms race of waterproof-breathability: eVent. Waterproof-breathable (WP/B) materials keep liquid water (rain) out but allow water vapor (your evaporating sweat) to pass through. Gore-Tex has long enjoyed the best name-brand recognition in this category, though there are literally dozens of other versions available from different manufacturers. These include such major brand names as HyVent (The North Face), H2No (Patagonia), Omni-Tech (Columbia), PreCip (Marmot), and Conduit (Mountain Hardwear), plus lesser-known WP/Bs like Sympatex, Dermizax, Watergate, Hyper-Dri, Stormtech, and Texapore. All of these vary in the degree of breathability, which in turn varies depending on differences in the relative humidity between one side of the fabric and the other. The best study I’ve found on the topic was done by the U.S. Army’s Natick research lab, which evaluated 15 different WP/B materials. Though somewhat dated at this point (2000), it is still quite illustrative, especially in the fact that the best performing material is eVent, and other materials that use similar technology. eVent is produced by BHA Group, Inc., a subsidiary of General Electric. For a long time, eVent was available only from a handful of niche manufacturers, but in the past year it has become markedly more available. You can find a complete list of gear makers using eVent in their product line on their web site, including the following choice examples. 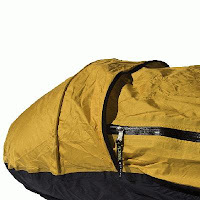 Integral Designs sells all of its outstanding bivy sacks in an eVent version. If you’ve ever used a bivy sack—and experienced the inevitable condensation that occurs inside one—you’ll understand the importance of maximum breathability. 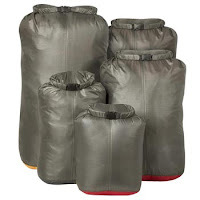 Granite Gear is using eVent in an extensive line of waterproof stuff sacks. One of the neat features of eVent is that air can pass through it, allowing it to be incorporated into several excellent waterproof compression stuff sacks from Sea to Summit. 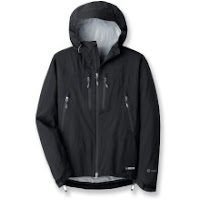 REI introduced its first eVent jacket in late 2008, the Shuksan Jacket. This marks perhaps eVent’s biggest foray into the mainstream market. The jacket has proved popular; the company has been unable to keep up with demand and the jacket is currently unavailable. Watch for eVent to appear with increasing frequency in the months and years ahead.